Behavior Services of the Mid-South is the area's leading provider of site-based behavioral and mental health services. We meet people where they are to provide state of the art, trauma informed solutions to removing the roadblocks to success. At school, home, or the office, BSMS is committed to reducing the marginalization of of clients and increasing access to effective, evidence-based interventions. We will come to you and work with you to put together executable plans for success that will make all the difference in achieving your goals. Founded by Dr. Susan Elswick in 2013, BSMS has quickly and emphatically established itself as the area's leading provider of site-based behavioral and mental health services. Dr. Elswick and the team at BSMS utilize the latest data supported interventions in concert with a combined 30 plus years of clinical and teaching experience to deliver effective results for even the most challenging situations. Dr. Susan Elswick, Ed.D, LCSW, LSSW, RPT-1 is the CEO/ owner of Behavior Services of the Mid-South LLC. Dr. Elswick received her masters degree in social work from the University of Tennessee and her doctorate in Special Education with a specialty in Applied Behavior Analysis from the University of Memphis. She is a Licensed School Social Worker in TN, a Licensed Clinical Social Worker, and Registered Play Therapist. Behavior Services of the Mid-South is a thriving private practice and consulting company that provides on-site, school-based behavioral health services as well as animal assisted therapy and in office therapy for clients aging from Pre-K to adults. She is also currently an Associate Professor in the School of Social Work at a highly regarded university. Prior to starting this site-based service model she was a school-based social work clinician for 10 years. She has provided school-based social work services in both rural and urban school settings, and has previous experience in community mental health and residential services. Dr. Elswick is a frequent contributor to multiple educational, behavioral and social work journals and is the author of 3 books that focus on various aspects of social work and behavioral therapy. Dr. Elswick has conducted important research on the topics of assessment and intervention for children with both academic and behavioral difficulties, the use of Response to Intervention in multiple settings, and the use of evidence-based interventions and services to correct maladaptive behaviors in order to improve educational outcomes for children. Behavior Services of the Mid-South LLC currently provides on-site, school-based therapeutic counseling, comprehensive behavioral assessments, and evidence-based intervention services. Services provided are based in CBT and ABA programming and provided to the local public/charter schools. Many of the schools that we serve are in need of behavioral interventions for students (assessment, diagnosis, intervention, monitoring, and program maintenance), continuous professional development for teachers/ staff, and parenting interventions to ensure an effective multi-systemic educational model. The programming includes ABA/ CBT assessments and interventions, parent training, individual and group based services, observations, assessments, intervention plan writing, intervention/plan training, single-subject data collection and reporting, as well as linkage to additional resources and services as needed. The services include the use of evidence-based interventions and services to correct maladaptive behaviors in order to improve educational outcomes for children. KATIE NORWOOD, LCSW, LSSW. KATIE HAS OVER 10 YEARS OF CLINICAL EXPERIENCE IN COMMUNITY MENTAL HEALTH AT THE DIRECT PRACTICE LEVEL AND WITHIN MANAGEMENT. SHE HAS A DEGREE IN , AN MSSW, AND IS LICENSED AS A CLINICAL SOCIAL WORKER IN STATE OF TN, A LICENSED SCHOOL SOCIAL WORKER IN THE STATE OF TN, AND IS WORKING TOWARDS CERTIFICATIONS IN ANIMAL ASSISTED INTERVENTIONS AND PLAY THERAPY. SHE CONTRACTS WITH BEHAVIOR SERVICES OF THE MID-SOUTH LLC TO OFFER SITE-BASED BEHAVIORAL AND MENTAL HEALTH SERVICES TO LOCAL SCHOOLS AND FAMILIES IN THE MID-SOUTH. SHE CURRENTLY SERVES CHILDREN AND ADOLESCENTS IN THE PUBLIC SCHOOLS. SHE PROVIDES DIRECT SERVICES WHICH INCLUDE ASSESSMENT, INTERVENTION (INDIVIDUAL AND GROUP THERAPY), AND MULIT-SYSTEMIC SUPPORTS (TEACHER, SCHOOL, AND COMMUNITY SUPPORTS) TO IMPROVE SUCCESSFUL OUTCOMES IN EDUCATION AND BEHAVIORAL AND MENTAL HEALTH. Matthew Davidson, M.S., BCBA, LBA, is the Director of Behavioral Health with Behavior Services of the Mid-South He has a Master of Science in Behavior Analysis from the University of North Texas and a Bachelor of Arts in Psychology from the University of Mississippi. Matt has presented research at professional conferences, including the Association for Behavior Analysis International (ABAI). Matt has hands-on experience in clinical settings, school systems, and individualized program development. He has experience providing one-on-one ABA therapy, social skills development, along with parent and teacher training. Falon Roberson, BCBA, LMSW is a behavior specialist with over 3 years of experience working with children and families in the Memphis area. She attended the University of Memphis, where she obtained a Master of Social Work degree with a concentration in school social work, as well as, a Master of Science degree with a concentration in Applied Behavior Analysis. She is licensed as a Master Social Worker, a Licensed School Social Worker, and is working on her Board Certified Behavior Analysis certification. Her practicum work includes: working as an intern at the Regional Intervention Program (RIP), where she assisted in parent training and providing behavioral support in the classroom setting for children 2-6 years of age; working as a school social work intern with Behavior Services of the Mid-South in providing behavioral and emotional support to students in 6-8th grade at Humes Preparatory Academy; working as a BCBA candidate intern at Concord Academy, where she provided behavioral support to students in 6-12th grade; and working as a BCBA candidate intern for the Angel Program at Holy Rosary Catholic School in providing behavioral support to students in PreK-5th grade. She currently contracts with Behavior Services of the Mid-South LLC to offer site-based behavioral and mental health services to local schools and families in the Mid-South. Vandra Parks, LMSW has worked with children and families for over 10 years. Recently she received her MSW degree from the University of Memphis with a concentration in children and families and school social work. She is a Licensed School Social Work in the state of TN. She is currently studying for state license as a Master Social Work. She interned at Libertas of Memphis school. There she led groups to teach children anger management and communication skills. Worked with a team to develop monthly “Parenting 101 Luncheons”, where she presented information on several topics to help promote healthy parenting skills. She interned with the Infant Mental Health Project to support daycare teachers. Provided intervention strategies to teachers promoting healthy social and emotional development. Abigail “Abby” Durham, LSSW, MSW. Abby received her master’s degree in social work from the University of Memphis with a concentration in school social work and animal assisted therapy. She is a Licensed School Social Worker and a Certified Animal Assisted Therapist. She is working towards becoming a Licensed Master Social Worker. She contracts with Behavior Services of the Midsouth LLC., to offer Animal Assisted Therapy, as well as, site based behavioral therapy to children and adolescents. She is trained in grief counseling and has extensive experience in trauma counseling. She has written multiple bibliotherapy lessons with children’s book to assist children and adults in reading time. Trista Torres, LMSW, LSSW. 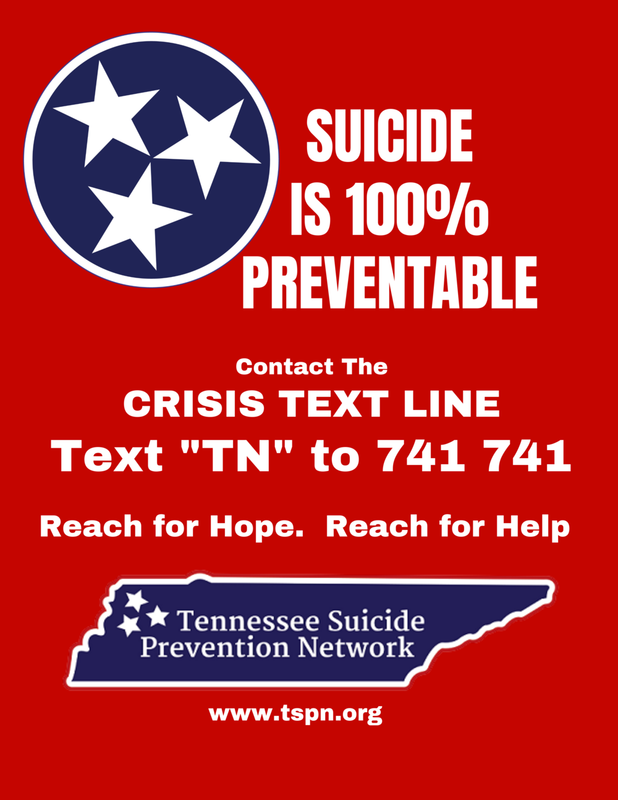 Trista has years of experience working in the mental health field in the Mid-South. She has recently graduated with a masters in social work and is a Licensed Masters Level Social Worker and a Licensed School Social Worker in Tennessee. Trista contracts with Behavior Services of the Mid-South to offer site-based behavioral and mental health services to local schools and families. She provides direct services through individual and group interventions and multi-systemic services in the form of teacher and school supports. Trista is in the process of completing supervision to one day become a Licensed Clinical Social Worker.